His words inspired me, so I set out to create my own science-fiction game. I started by listing everything that excited me about the genre, especially the stories from pulp sci-fi magazines of the 1930’s and 40’s: Amazing Stories, Edgar Rice Burroughs’ John Carter books, and Wally Wood’s comic stories from Weird Science and Weird Fantasy. My imaginary universe became populated with jetpack wearing space-adventurers, sword wielding space-pirates, epic battles between lumbering spaceships, raygun shoot-outs, perilous asteroid belts, and exotic and grotesque alien creatures. I called it Rayguns and Rocketships. The video game’s concept was a multiplayer game in which players would pilot a rocketship, man a control system or raygun cannon that could be fired at enemy’s ships. If the player wished, they could draw their laser pistols, fire up their jetpacks, and jump out of the rocketship into outer space to fight their way onto an enemy’s ship. My co-workers all liked the idea, but the technology of video game consoles of the day just weren’t up to the task of creating the seamless transitions between ship interiors and outer space that I was dreaming of. 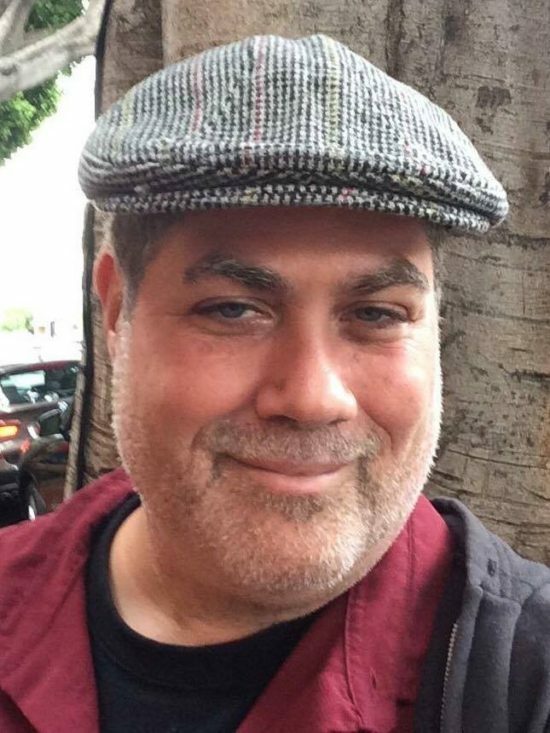 In those days, it took a lot of money and man-power to make video games; two things I didn’t possess. But I was determined to make Rayguns and Rocketships a reality. How could one person bring this massive project to life? The answer was board games. I have always loved board games since I was a young boy. Even before I discovered Dungeons and Dragons, I had been playing board games like Green Ghost, Dark Shadows and Which Witch. The toy-like nature of board games really appeals to me and I wanted to reflect this in Rayguns and Rocketships. 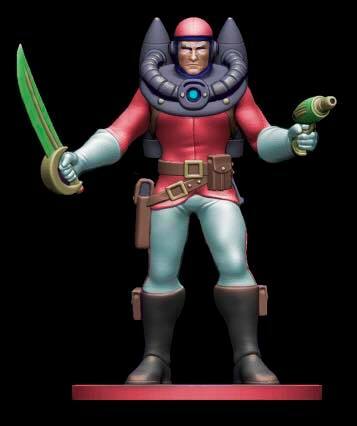 The Planeteer miniatures are inspired by Marx Space Patrol toys from the 1950’s. I “recruited” some D&D lizard men minis and a handful of Adam Strange Heroclix to become my first Planeteer crews. I drew rocketship maps on paper and was gratified to discover that moving the crew around inside the ships was just plain fun. 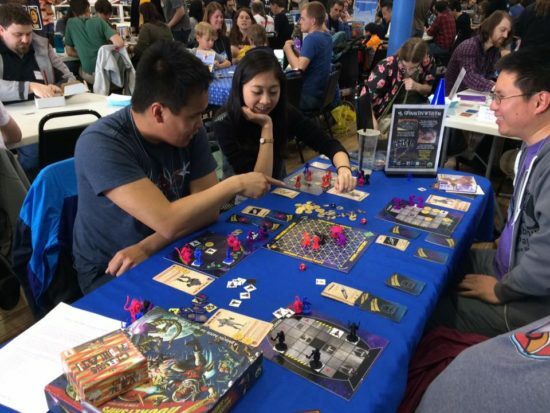 In Rayguns and Rocketships, each player is a Planeteer faction. Each faction has a specialty – The Galactic Astro-Rangers are very speedy, whether flying a rocketship or using a jetpack. The Star Pirates of Samadi are armed to the teeth and are especially good as shooting their raygun cannons. The Grand Navy of Zardia are a race of lizard men who are close combat experts and swordsmen… er swordszards. And the alien Blaarg! Collective are strange invaders from a neighboring galaxy who are giant brains in mechanical pants and use their awful mind powers on the other players. The Planeteers are led by a unique Captain who have their own two-sided card listing their special abilities. Captains are like the Queen in Chess; a piece that is best used aggressively. In fact, the entire game rewards aggression and the player to reach the predetermined number of victory points first, wins the game. Crew members aren’t the only miniatures in the Rayguns and Rocketships. 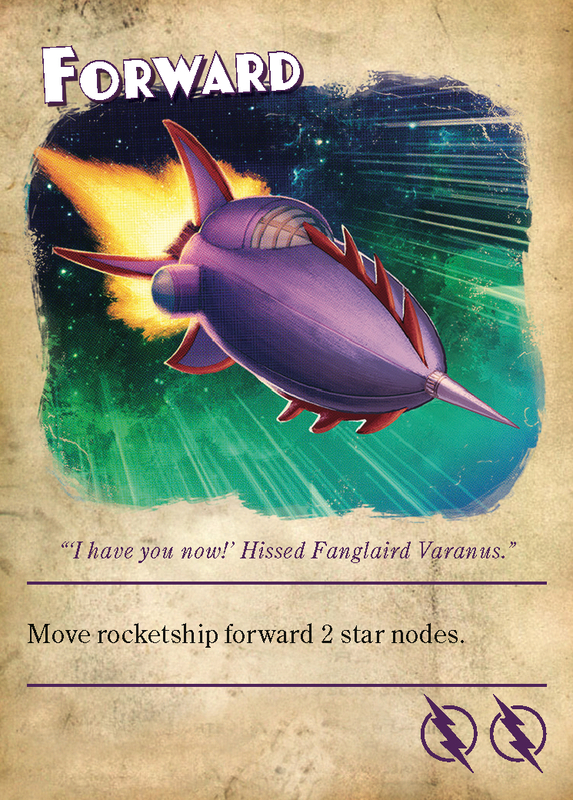 Each Planeteer faction has its own unique rocketships miniatures which are moved around on a Star Map around using command cards. The cards are pre-programmed like in Robo-Rally or Wings of War. The programming makes the rocketships feel large and requires a fair amount of strategy from the player when determining how to move them around for space combat. When rocketships move into position, they can fire their battery of rayguns. If a crew member mans a raygun, it improves its range and odds for success. Successful blasts can damage either the hull or rayguns and can trap crew members inside the rocketship. If a rocketship ever takes eight tokens of blast damage, it explodes! Command cards also generate action tokens that the player can use to give their crew members additional movement, actions and attacks. Spend action tokens to extinguish blast tokens, heal the captain, open the rocketship’s hatch or airlock or perform special actions. Crew members are very flexible pieces but they are also very fragile as they only have one point of health. Each faction has their own deck of command cards and some of them are marked with stars. These “star cards” are separated into their own deck and are added to the player’s hand through a variety of methods. The star cards cater to the Planeteer factions’ special abilities. For example, the Star Pirate card “Heavy Cannon” lets a player place two blast tokens onto a rocketship if a successful hit is made. The Zard card “Master Swordszard” allows the player to re-roll any failed melee attack rolls once. My favorite is “Rangers Attack!” where 4 Astro-Rangers are immediately placed on the Star Map around the player’s rocketship. It’s a great surprise move to use for boarding maneuvers or quick escapes. There are many more components included in Rayguns and Rocketships; asteroid and iceteroid tokens that complicate movement, warbots that can be salvaged and used for crew functions and secret data tapes that may or may not hold the plans for a planet-destroying weapon! Rayguns and Rocketships is my love letter to the golden age of science fiction and I hope that you enjoy playing it as much as I did creating it!